It's as easy as pie, or, well, cake. 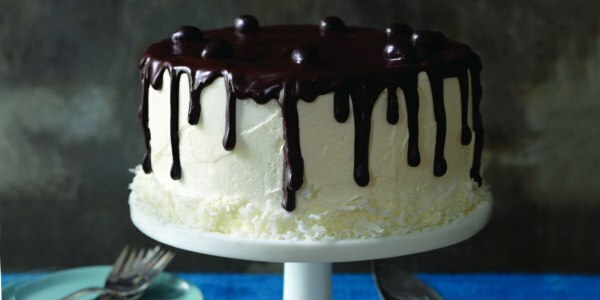 Cracked, crumbling or overcooked, a cake can still look like a million bucks with a great buttercream frosting recipe and the right technique. Learning how to frost a cake perfectly may seem intimidating, but there's a surprising hack that makes cake decorating as easy as pie. It just requires one common kitchen item — a paper towel! Food blogger Brooke Edwards of Frost Me Up showcased this out-of-the-box technique that can make a cake's icing appear so smooth that it will look like it's been covered in fondant by a professional. Edwards first shared her method in a YouTube video in 2012 that went viral with over 650,000 views. Here, she shared her paper towel trick with TODAY Food. The first thing to do is to whip up a batch of frosting — but not just any buttercream frosting will do. Instead, Edwards said that the frosting needs to be made with shortening, instead of butter, so it can develop a bit of a crust. Her classic white frosting recipe (shortening, clear vanilla extract, almond extract, powdered sugar and milk) is ideal for the technique. Once that's ready to go, it's time to schmear! Use an offset spatula to spread on a very thin layer of frosting on the top and sides of the cake. This is commonly known as a crumb coat, which helps seal in any stray cake bits before the beauty layer is applied. Freeze the cake for 15 minutes to allow the frosting to harden. Then, smear on the final, very thin layer of frosting all over the cake. Now comes the mind-blowing part. Place a paper towel (Edwards prefers Viva brand) with the smooth-side down on the top of the cake. Using a sweeping motion, gently press the pads of your fingers across the top of the paper towel. Repeat until the top of the cake's frosting is smooth. 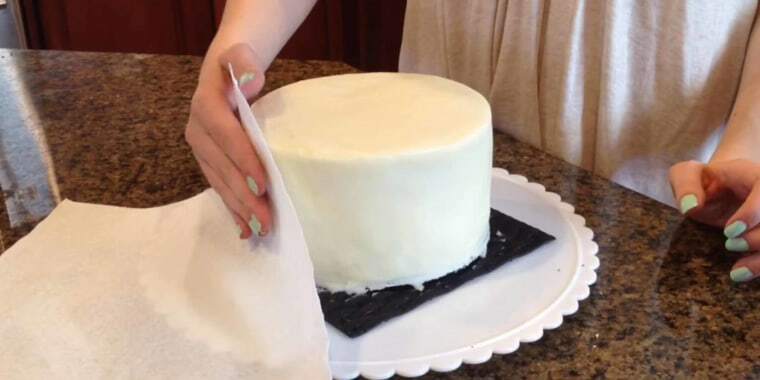 Place the same paper towel on the sides of the cake and use the same smoothing method, gently sweeping upwards with the pads of your fingers. ... and voilà! The cake looks like its covered in fondant and is ready to be decorated. If a Viva paper towel isn't available, Edwards suggested using a clean, offset spatula dipped in very hot water to smooth out the frosting. That's TODAY senior food stylist Allison Hawes' favorite method for creating a beautifully smooth frosted cake, too. "I dip an offset spatula in hot water and then dry it off (paper towel comes in handy for that part)," Hawes said. "The warmed offset spatula helps to easily smooth the frosting on the cake and avoid air bubbles. I dip, dry, smooth as many times as needed to get a smooth coat on the cake. It works especially well with buttercream and chocolate frosting." Hawes and her team prepare all of the gorgeous food on the TODAY Show every day, but would she ever try Edwards' paper towel technique? "I foresee that it would not properly smooth the frosting and think that it might be fussy and messy," she said. "Mind you, since I haven't tried it, I may be totally wrong. The method I prefer makes things less messy." There you have it. Maybe Edwards' paper towel method isn't quite right for TV, but there's no reason not to give it a try at home!